Rylie survived her transformation. 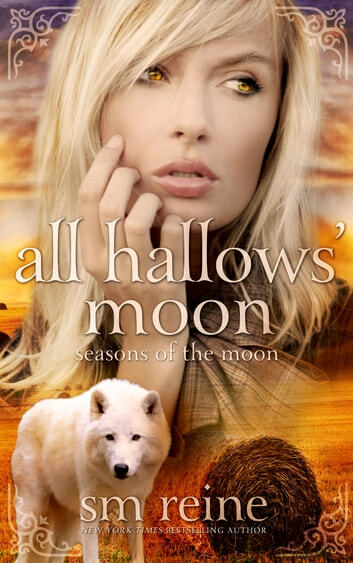 She moves to her aunt’s ranch in the hopes she can enroll in a new high school and quietly continue her life--except that she transforms into a monster every new and full moon and struggles to control her murderous urges. Without many werewolves left, it’s hard to stay in hiding. A family of hunters--Eleanor, Abel, and Seth--recognize the signs and follow Rylie to her new home. They want to stop her before she murders someone, and the only way to do it is with a silver bullet. Seth soon realizes the werewolf is Rylie, the one monster he failed to kill. Worse yet, he’s still in love with her. Torn between family and love, Rylie struggles to reconcile her feelings and control the wolf within while Seth fights to do what’s right. But what is right--obeying desire or duty? The second book in the series follows closely and seamlessly from the first book. Rylie has moved to her aunt's in the country as a) she feels more comfortable in the country now and b) she thinks it will be safer as she is still struggling with trying to live with the wolf inside her. Seth makes a reappearance and it also shows just how you CAN'T choose your family! The story is once again excellently written, the characters become more in depth and well-rounded and the pace is once again very well paced and smooth. Book 3 is ready to start tonight! * Verified Purchase ~ January 2013 * Merissa Archaeolibrarian - I Dig Good Books!